The depreciative rupiah this Friday, according to him, due to the dynamics of economic development in the United States. President Trump on Thursday threw his criticism at the US central bank as an interest rate hike could hamper the accelerated recovery of the US economy. "If domestic triggered there is no problem, the problem is Trump's mister who makes a statement against the Fed," Erwin said. If seen since the beginning of this week, the direction of US economic development stomping market participants at least twice. The Fed Governor Jerome Powell in his speech earlier this week indicated the consistency of raising interest rates four times this year. As of June 2018, the Fed has raised its benchmark interest rate twice to 1.75-2 percent. Together with that, the escalation of trade wars between the two giants of the US and Chinese economies have been on the rise in the wake of war of White House Economy Advisor Larry Kudlow and China's senior economic adviser Liu He. Erwin said the strategy of the Central Bank of China to boost exports also helped weaken the value of the rupiah. "China is doing, for example devaluation of its exchange rate related to the 'trade war'," said Erwin. However, Erwin asks the public to see this trend of currency weakening more broadly. The strength of the US dollar not only weakens the rupiah, but also almost all the currencies of developing countries. Even the currencies of other countries plague a deeper weakening than the rupiah. "Nowadays America is powerless again, if you see rupiah weakening against India, no, we are strengthening against India," he said. Central Bank, said Erwin, will continue to run dual intervention to stabilize the rupiah exchange rate. 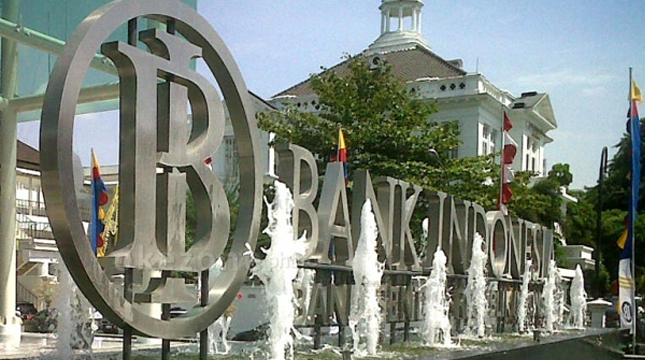 The benchmark Jakarta Interbank Spot Dollar Rate announced by Bank Indonesia on Friday showed that the rupiah traded at Rp14.520 per US dollar, down 102 points from the benchmark Thursday (19/7) of Rp.14,418 per US dollar. In the spot market on Friday at 14.35 WIB, the rupiah also still showed a depreciative trend. Garuda currency trades at Rp14.520 per US dollar.